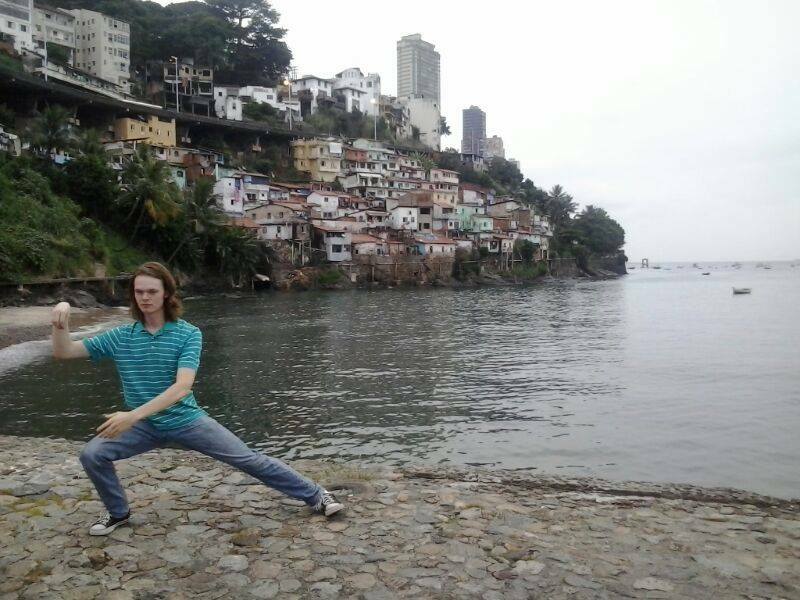 Ansel Courant is a dedicated tai chi student at Just B Yoga. He absorbed the Cheng Man-ch’ing short Yang form quickly and is committed to practice. He even took pictures of his practice while he was in Brazil last year. While we don’t see him as much around the studio because he’s busy working at the Kids (bike) Repair Program, he touches base now and again. After reading a passage written by Cheng Man-ch’ing about fear, pain, and rooting the foot, I resolved this morning to begin spending time sitting in one-legged stances to establish my root through acceptance of pain/bitterness. A few hours later at work, a ladder fell directly on my left foot and now I can’t walk on it. Now I have no choice about how many legs to stand on. I wrote him back asking if he was OK and if anything was broken. I thought nothing was broken, but now I’m not sure, so I’m getting an x-ray tomorrow morning. I use my feet a lot so I don’t want to risk it healing funny if it’s fractured. Besides, the next fearlessness he discussed was in relation to the fear of loss… and I kinda like having two feet.